World War Z is a cooperative shooter designed for 4-player cooperation based on the license of a movie by the same title. The game was developed by Saber Interactive, also known for creating such games as TimeShift, Inversion and God Mode. 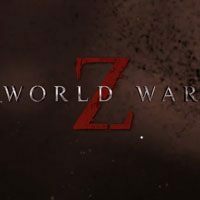 World War Z takes players to a world overrun by a zombie pandemic. Players take control over characters, whose primary objective is to fight for survival. The game features indirect references to the movie, however, seeing the move is not necessary to understand the story shown in the game. In World War Z, players observe the action from the third-person perspective (TPP). The game comprises of three main chapters taking place in New York, Moscow, and Jerusalem. In each location, players control 4 characters with different abilities. As players progress through the game, they earn experience and unlock new levels that give them new abilities. Similarly to the Left 4 Dead series, players have to traverse different locations, complete objectives, and eliminate hordes of living dead. A single horde can comprise even hundreds of zombies moving with extraordinary speed and able to climb each other getting to seemingly safe, high places. Developers give at players' disposal an elaborate selection of firearms (that can be modified). Players can also fortify themselves – in selected areas, one can build a barbed fence, deploy mines and HMG positions. World War Z is based on the proprietary Swarm Engine that facilitates high-quality visuals despite hundreds of opponents present on the screen.